Sincere Freight Pte Ltd-Sincere Freight Pte Ltd is an International Freight Company incorporated in Singapore in 1996. Sincere Freight Pte Ltd is an International Freight Company incorporated in Singapore in 1996. 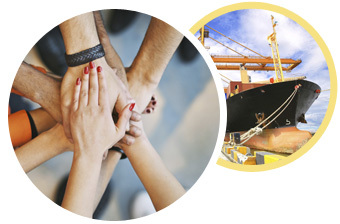 The company is formed with a clear vision to provide reliable & professional worldwide freight & logistics services. We want to play an important role in our customer’s logistics plans. And we aim to become an efficient and effective logistics provider to our clients. We seek cooperation with reliable worldwide agents to provide excellence global network and logistics solutions to fulfill our customers' needs. Our pool of staff has an average of more than twelve years working experience in the freight industry. Our highly trained and experienced staff are capable to render professional services to all our clients & overseas associates. The company has grown remarkably over the years, through the dedicated efforts of the management & staff. 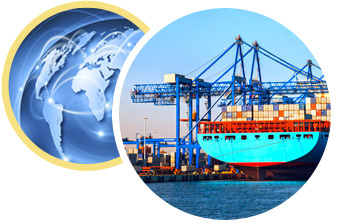 We are authorized customs broker to handle both import & export for airfreight as well as oceanfreight. Our office computer systems that link directly to the customs and relevant government authorities have also raised our customs documentation capabilities tremendously. Customs clearance is expedite and efficiently carry out at all times. Our commitment to upgrade & adopt the most appropriate computer system has enhanced our abilities to improve our service standard substantially. With the help of modern technologies, we constantly strike to achieve the highest level of customer satisfaction through personalized services. Copyright © . Sincere Freight Pte Ltd. All Rights Reserved. Website by Creative eWorld Pte Ltd.